Staying true to my promise, if I choose not to review it, it's because I do not deem it to be the best. Why would I say MLN is the best computer store? This is a very big statement to make. Quick intro - to start with, they have a humble five stores in Melbourne, West Melbourne, South Melbourne, Essendon, Heidelberg, and Richmond. This allows me to test them out in person. Before you say "But I am going to miss out, I'm not in Melbourne," don't worry, there is a monster online division. Their online store runs off a dedicated distribution centre and can ship most items and computers within 24-48 hours across our great continent for the same flat price wherever you are. So when it comes to product choice and pricing, everyone can take advantage of this. The delivery times are lightening quick and they use premium express delivery options. The real bonus is, if you pay via Pay Pal there is no surcharge, so it makes a great laptop deal a bargain laptop deal. Regardless of where you are in Australia you can get their products and everything they sell also comes with an Australia wide warranty which is pick up and return, so you're covered. I first came across MLN about 10-11 years ago, and even then, they had been around for a few years. I think each store deserves to be reviewed independently as the staff have been with them forever, and I am a firm believer that people make an organisation. I was really impressed with the fact that the guys who served me way back then served me again now just a few weeks ago. This I think is very important, because in the ever elusive world of consumer electronics and computer equipment, it's important for me that the person serving you is the same person who is there to back up the promises made at the time of purchase. I cannot stand box readers, none here. Now I can hear all you critics saying, "Just read reviews, look at forums, Google it, why talk to evil sales people?" However I would not buy a house or a car like that so why would I buy a PC like that? MLN staff are not on sales commissions unlike the guy with shiny face and neat tie at Harvey Norman or the suave guy at JB who are all on fat commissions, these guys have no reason to make me buy anything. So the information you're going to get out of them is going to be as good as you ask and more. The one question I like to ask for computers, tablets, laptops and phones is, what is the failure or return rate like on this particular model? If a sales person can look you in the face and tell you the truth without squinting and squirming, that is a good sales person. Now if you look on a website or a review or a forum, there is always some person saying never buy this or never buy that because I had such a bad experience. Well what about the other 1000 people who loved what they bought? It is true that only miserable people are vocal, and the ones who receive products that run faultlessly do not make any noise, as things are operating as they should. This means the only real way to know is to ask a trusted advisor simple, "Does this fail more than is should? How many go bust per 100 you have sold?" 1)	They don't sell anything and everything. If it is junk or fails too much than it should they just don't sell it anymore. Simply their answer is, you are our customer, we can sell you something else and make money on it so we need you to be happy. (I believe this is why they have deranged Acer and Lenovo for example). 2)	The staff don't rotate often. They are very technically savvy and so the same guy telling you that this computer can launch a cruise missile knows how to make it do so and can back it up. No box readers here – for that you can go to the Normans and HIFI and co. The other critical reasons are that MLN stock rock solid main stream, hard-core and niche, computing products at the all-important low good value price point. This means you can get the latest SSD drive, msata drive, combo drive ETC for your notebook computer, have them install it and test it, and have you up and running super quick. The desktop range and configuration options are insane and even you're a die hard PC builder, its probably cheaper to get them to build it for you as you will save, money and time. The notebook range, especially the Venom BlackBooks, are super impressive. I am going to say to watch this space and follow the Venom BlackBooks very closely as they are an upcoming powerhouse PC brand to reckon with. The guys at West Melbourne hooked my up with a high performance thin and light Venom BlackBook Zero notebook running a full Quad Core processor with SSD drives, some monitors, transferred some files and a NAS drive in under an hour and I was off for another 12-18 months before I went back to them. It is great to see such a specialty store provide such a great experience. If you're looking for a headphone range, MLN has the largest I have ever seen in any store. They have headphones and headsets of all budgets and sizes, some really premium stuff, and it's great to see things other than Beats Headphones. James also showed me a very impressive selection of keyboards and mice. Check out the Razer Blackwidow series and the SAITEK RAT 7 mouse - mind blowing. Another big win is these guys can make any computer alive again, re-zombify a PC or a notebook, upgrade or tweek it. So if you're looking at a new computer, bring your old one with you, nothing is off the table. I have purchased from the Richmond, South Melbourne and Essendon store before and I can tell you the service is just the same. 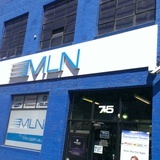 For the best, great value computers, check out MLN. Australia's best computer store. Thanks for this review. It's great to read about reasons to buy from somewhere, rather than sensationalist reviews as to why not buy. As a graphic designer living in Bendigo, I have a severe lack of computer stores at my disposal, except for the aforementioned Normans, HiFis and the like. We also have CentreCom which I wouldn't recommend to my worst enemy. This review helps because it supports personal recommendations I've been given for MLN in Peel St, Melbourne.